Eagle Scout Court of Honor – A Rare Celebration! It is a relatively rare event for a Boy Scout to attain the rank of Eagle Scout. In fact, less than 4% of all scouts reach the highest rank of Eagle Scout. I doubt if any statistics are available, but I have to believe the probability of two brothers who, along with their sister, are part of a set triplets that advance through the Scouting program to make Eagle is less than half of 1% of all scouts!! As rare as this seems, it happened in Troop 353 not that long ago! Conor and Thomas M. both celebrated this crowning achievement at the beautiful Generoso Pope Foundation building in Tuckahoe recently, along with a subtantial group of public officials and other important dignitaries: Amy Paulin (NY State Congresswoman), Vito Pinto (Westchester County legislator), Tony Colavita (Eastchester Town Supervisor), Sheila Marcotte (Eastchester Council woman), John Fitzpatrick (Tuckahoe Village Mayor), Clare Gorman & Steve Ecklond (Tuckahoe Village Trustees), Mike Yazurlo (Superintendent Tuckahoe School District), Robert Foster (VFW), Frank Morganthaler (American Legion), Mike Fix (former President of the Eastchester Historical Society and an Eagle Scout), Sandy Garufi (Tuckahoe HS Music Director) and Ms. Andrea Grimaldi (Director of HR, Westchester County American Red Cross). Photos from the very special Eagle Court of Honor are seen here. Like all of the boys in our troop, Thomas and Conor have achieved notable success in other endeavors. Be it school (National Honor Society), sports (golf) or in other extracurricular activities (the World Championships of Traditional Irish Music), these young men have enjoyed truly world-class success. It is interesting, but not entirely surprising, to note that both have chosen to study Engineering in college. In Scouting, both have had extensive leadership responsibilities as either a Patrol Leader, Troop Guide, Assistant Sr. Patrol Leader, Sr. Patrol Leader and/or a Jr. Assistant Scoutmaster. Conor earned 26 merit badges and Thomas ended up with 27 and both attained 3 different Special Awards during their scouting tenure: Arrow of Light, Emergency Preparedness and the World Conservation Award. From the time each attained the rank of 1st Class Scout, it took each boy another 3.5-to-4 years to schedule and successfully complete their Eagle Scout Boards of Review – proving that patience and persistence can pay off handsomely. Music is an important part of the Thomas and Conor’s family life and so it was natural for Thomas to target a revamping of his high school’s music department physical space in order to allow the roll out of a new senior student mentorship program for younger aspiring musician students for his Eagle Project. According to the Tuckahoe School’s Band Director, this was a badly needed project that is expected to yield multiple benefits in coming years. 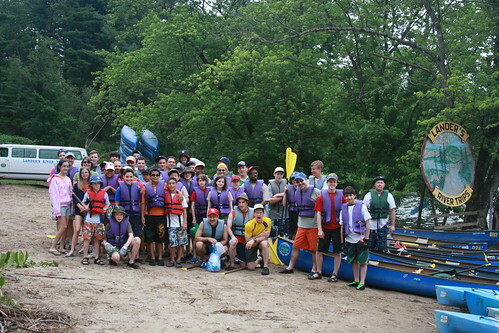 Pictures of Thomas’s Eagle Leadership Project are found here. Community service, synonymous with any Eagle Leadership Project, is also an integral part of these two men’s family. For his Eagle Leadership Project, Conor decided there was more work to be done with the local American Red Cross (ARC). Like Eagle Scout Daniel A. before him in 2007, Conor knew that one of the best ways to help the community at large was to work with the ARC at the County level. Conor undertook special instructor training in order to develop and implement an inter-active Emergency Preparedness Program utilizing the basic concepts of the ARC’s motto (Get a kit. Make a Plan. Be informed.) that was held at Cottle Elementary School. Conor’s blueprint for the first ever Tuckahoe Family Preparedness Day is an excellent working template that ARC will use throughout other Westchester County communities going forward. Photos of Conor’s Eagle Leadership Project show that, in addition to senior executives from ARC, other community entities were involved: Eastchester Fire Dept., Hudson Valley Bank, & the Village of Tuckahoe (with partial funding provided by The Community Fund – not pictured). As noted earlier, Thomas and Conor have accomplished much during their seven years of Boy Scouting – but so too have ALL of the scouts in our troop! While Troop 353 has been blessed with, on average, one Eagle Scout per year, attaining Eagle Scout is by no means the ONLY yardstick of success in our troop. More importantly, what we try to create is a rich and varied scouting program that provides ample opportunities for ALL scouts to learn how to lead others, make strong morale and ethical decisions and to serve their community and fellow scouts with cheerfulness. Advancement per se is not a goal of scouting. It is along the unique scouting trail, that many, many experieces of a lifetime are created for our boys and I am quite certain that both Conor and Thomas would vouch for the truthfulness of this statement as they reflect back on the richness of their clearly special experience in Scouting! 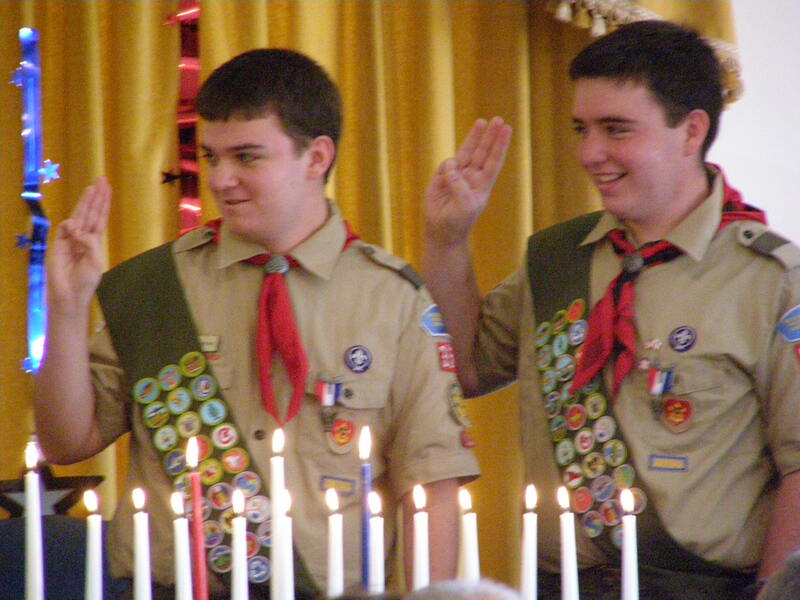 Congratulations to both Thomas and Conor – Troop 353’s newest Eagle Scouts! Author scoutmasterPosted on July 29, 2009 April 3, 2010 Categories Community Service, Eagle Scout, Photos, Service, Service ProjectsLeave a comment on Eagle Scout Court of Honor – A Rare Celebration!